To understand the importance of the new Church manuals Doctrine and Covenants and Church History (updated Seminary manual) and Foundations of the Restoration (new Institute manual), here’s a scenario of a problem that’s been going on for a number of years. I’ll use the Book of Abraham, but other topics could be substituted. 1) The Egyptian papyri that Joseph Smith had were rediscovered in the 1960s, and when Egyptologists translated the papyri the meaning had nothing to do with the Book of Abraham. 2) This means Joseph Smith was a fraud and false prophet. 3) And the whole Church isn’t true. 4) And you’re a gullible idiot for being a Mormon. For our hypothetical fellow, two problems arise. Problem #1: Lack of knowledge. Because this person never learned about the background of the Book of Abraham in a classroom setting and never bothered to study up on his own, he is in no position to critically evaluate the claims he suddenly encounters online. Turning to Google for help, he scans some websites and confirms that there are indeed recovered papyri and they do not match the document Joseph produced. With that bit of information, the panic begins. If the papyri weren’t translated accurately, could the other points be true as well? Was Joseph making things up? Is the Church not really true? The reality is that there is no Church conspiracy to keep information from its members. It is true that in past decades the complexities of certain historical issues and the nuances of certain doctrinal topics were not explored in great length in Church magazines and manuals, but this was a matter of emphasis, not a cover up. Most items of any kind of importance were indeed published here and there in Church venues of various sorts, but the mission of the Church is to bring souls to Christ and that means that people generally get more out of Sunday School by learning how to live covenants in the modern world, not by learning how polygamy was practiced 170 years ago. Most Church manuals were also kept relatively simple so that foreign-language speakers and new converts could easily learn from them (and, especially in places where the Church is new, so that new converts could easily teach from them). And besides, why spend the resources explaining an old-time historical issue when few members will ever hear of it to begin with? Given all those realities, the Church left publishing detailed historical analyses to Deseret Book, BYU, and other third-party venues. Members who wanted to learn more could go to those sources for more rigorous material. Nothing occurred overnight, of course, but over the years the Internet has fundamentally changed how Church members interact with Church history. While back in the 1980s anti-Mormon literature was its own clearly identifiable genre (printed in something called “books” you bought in a “bookstore”), now critical claims appear frequently in a variety of subtle ways, from Facebook feeds to the comments following news articles to Wikipedia. Stuff that was once in the domain of historians now makes the rounds at the click of a button. For many once-obscure issues, it’s no longer a matter of if a Church member will ever hear of them, but when. Given these realities, the old approach—having the Church’s official materials focus on basic doctrinal and practical teachings while leaving the detailed scholarship to BYU and other independent publishers—became untenable. 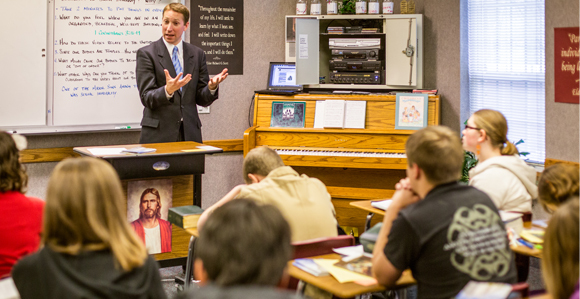 1) “Gospel Topics” articles at https://www.lds.org/topics. Drafts of these articles were prepared by scholars who are experts in their fields, and final versions were made through feedback from members of the Church History department and then the Quorum of the Twelve and the First Presidency. These articles provide authoritative and well-written analyses of topics ranging from polygamy to DNA and the Book of Mormon to deification. 2) “Revelations in Context” articles at https://history.lds.org/section/revelations. These insightful articles provide historical background about various sections and subjects in the Doctrine and Covenants and incorporate the latest findings from the Joseph Smith Papers Project and other ongoing historical research initiatives. 3) “Perspectives on Church History” essays at https://history.lds.org/section/perspectives-on-church-history. This growing collection currently includes a talk on Joseph Smith’s strengths and weaknesses and an important four-part essay series exploring race and the former priesthood/temple restriction. These and other sources provide accurate and detailed information. Much of this information is not “new” (books and articles have explored these issues for decades) but it is groundbreaking that it is now available on LDS.org—from the Church itself—and not just through Deseret Book, BYU’s Religious Studies Center, the Maxwell Institute, the Mormon History Association, etc. In addition to free online access, both of these manuals are also available on anyone’s smart phone or tablet through the Gospel Library app. – race and the priesthood. — Neal A. Maxwell on studying Church doctrine through the eyes of defectors. Warnings and instructions of this nature are sprinkled throughout the manuals. Additionally, the Institute manual devotes two entire lessons to these topics (chapter 10, “Seek Truth” and chapter 15, “Strength amid Opposition”). The first focuses on “discerning truth from error” and “staying faithful when questions arise.” The second uses cases of apostasy from Church history to teach how to respond when fellow Church members criticize the Lord’s apostles, lose their testimonies, and attempt to spread their doubt to others. Those are just a few snippets, but you can see how helpful these lessons can be for young Latter-day Saints beginning a lifetime of encounters with questions and questioners. Teaching Seminary and Institute students is obviously a great place to start, but there are many members of the Church, both young and old, who need to learn these principles of discernment and gospel learning and who are not in Seminary or Institute. What about them? I believe that all of us as parents, gospel teachers, and Church leaders have a role to play. 1. Joseph Smith gave the priesthood and temple blessings to black people with no indication that anything differentiated them from white people. 2. Brigham Young instituted the priesthood ban a few years into his ministry, and explained it with blatantly racist teachings that today are denounced as "theories" (he taught that slavery was a divine institution and that race mixing should be punished by death, for Pete's sake). 3. These racist teachings and others were perpetuated in the writings of General Authorities for decades afterward, and generally accepted as truth by the membership. 4. The ban itself was inconsistent in its scope and application because church leaders didn't know where it came from or what the real reason was. For example, sometimes black people were allowed to do baptisms for the dead and sometimes they weren't. And it is clear that several mistakes were made and people with African ancestry were ordained. I am also a faithful Latter-day Saint and believe that the priesthood ban was God's will for whatever reason(s), but any paradigm that omits facts like these is simply not an honest one, and looking down on people for being disturbed by them is highly unfair. Just came across this today. Excellent stuff. I haven't looked at these new manuals.